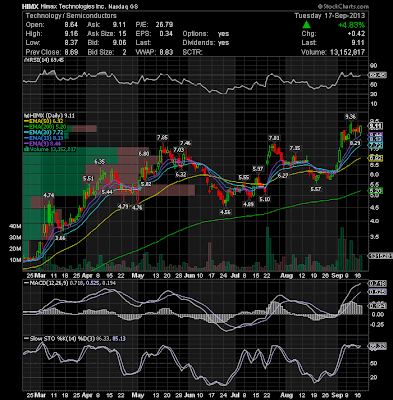 Himax Technologies, Inc. (NASDAQ:HIMX) is still looking very good here. 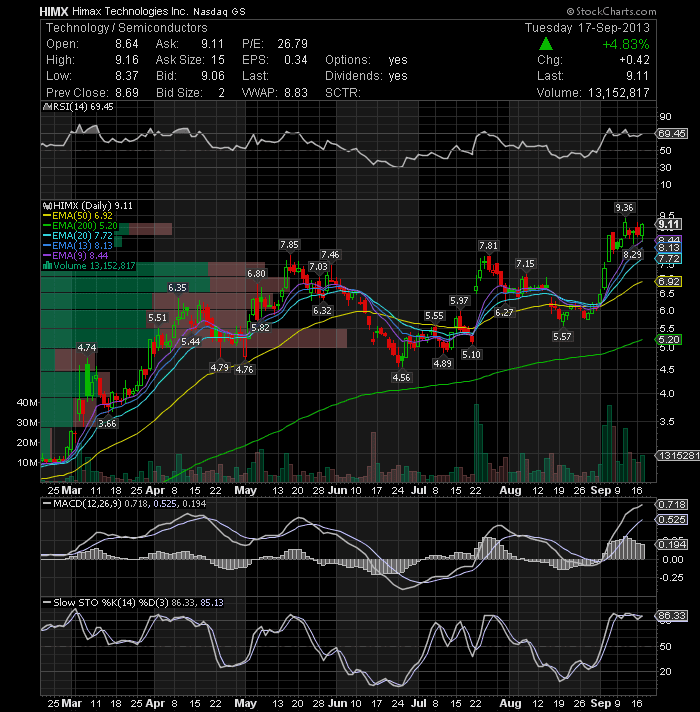 Next buy point is when the stock moves over 9.36 on heavy volume. 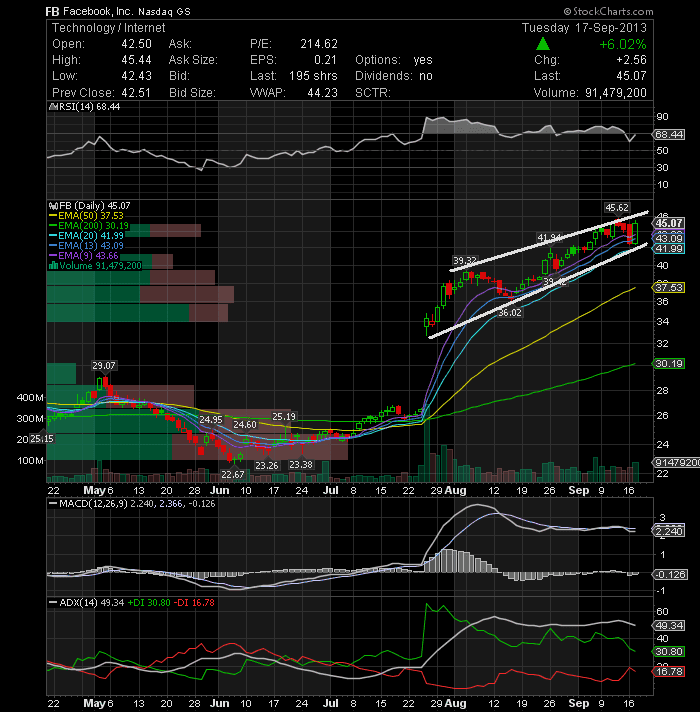 Facebook Inc (NASDAQ:FB) Stock price is still holding well within a rising wedge pattern. 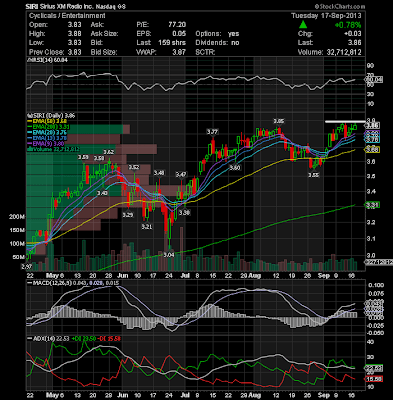 Next buy point is when the stock moves over 45.62 on heavy volume. 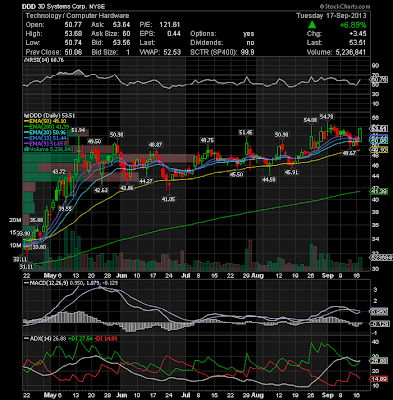 All the short-term EMAs are rising again and the stock is trading above them, however MACD is showing a negative divergence by failing to touch new highs. 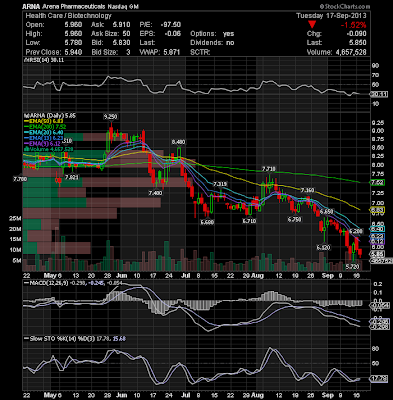 Arena Pharmaceuticals, Inc. (NASDAQ:ARNA) The daily chart shows a bearish picture for stock with MACD and RSI showing weak signal as MACD is below 0 and RSI below the 50% level. 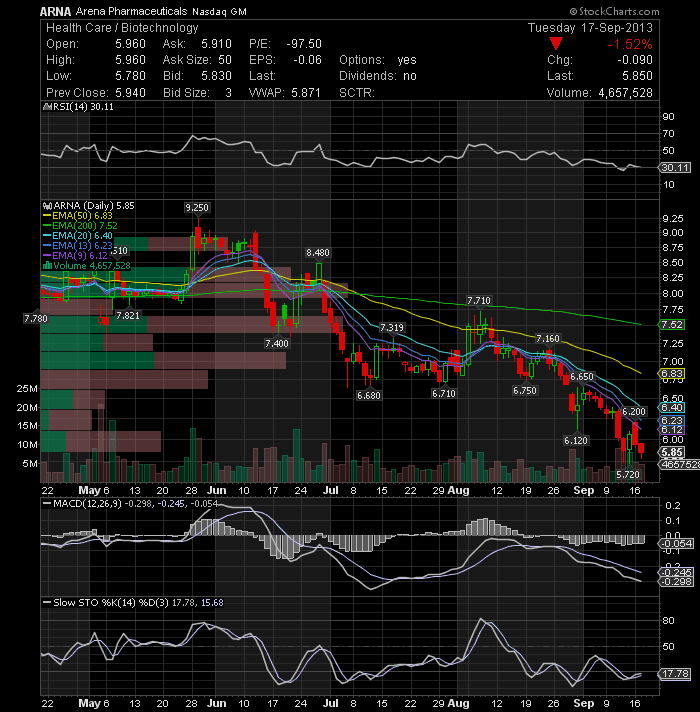 The stock has a key support at 5.72, but any close below this level could start a new sell off. Avoid for now unless short or scalping. 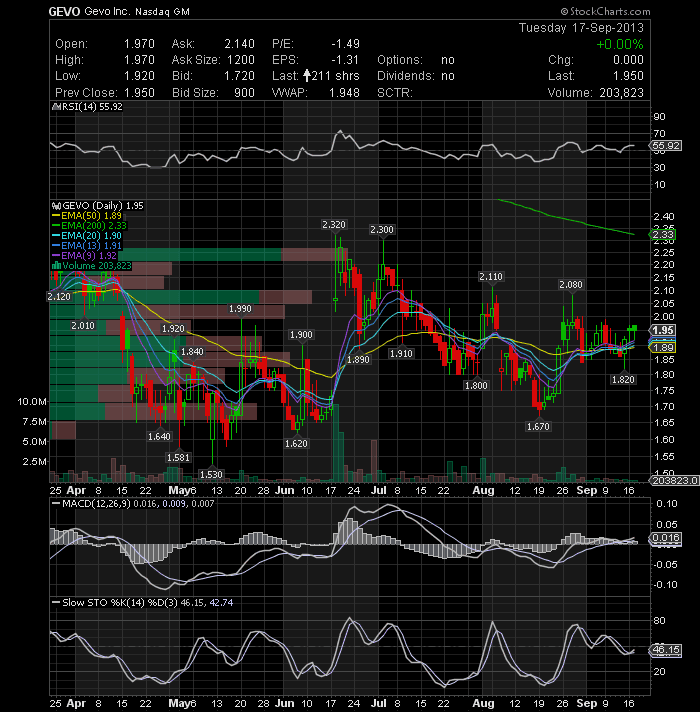 Gevo, Inc. (NASDAQ:GEVO) seems in a good short-term bullish momentum. Key resistance is now located at $2, a break above this level will confirm the bullish trend, and the following uptrend will take price up to $2.3 zone. The Relative Strength Index is moving higher, which is a sign of growing strength in the stock. Also, the MACD is giving a positive indication. In addition, selling volume has been light while accumulation days have been heavy. GEVO will move quickly, so keep it on your screen on Wednesday. 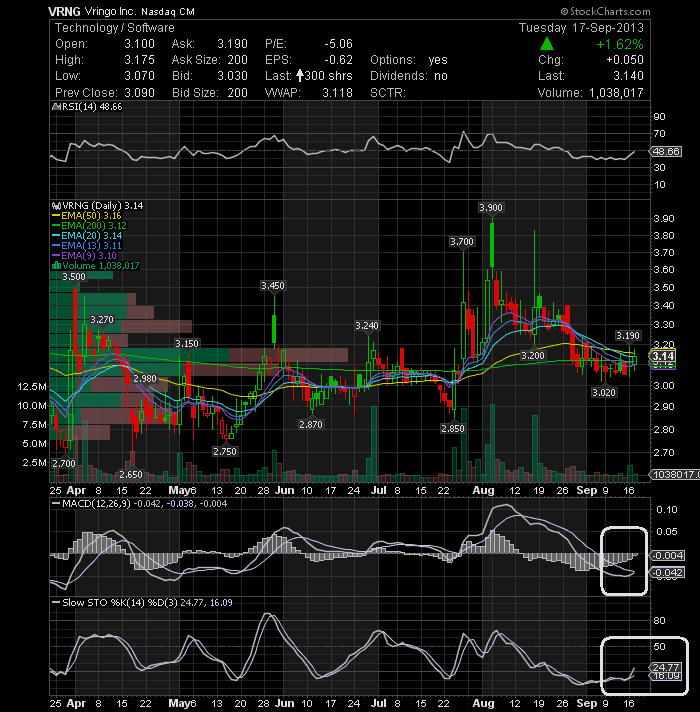 Vringo, Inc. (NASDAQ:VRNG) The stock had a nice move today, closing the day at $3.14 . 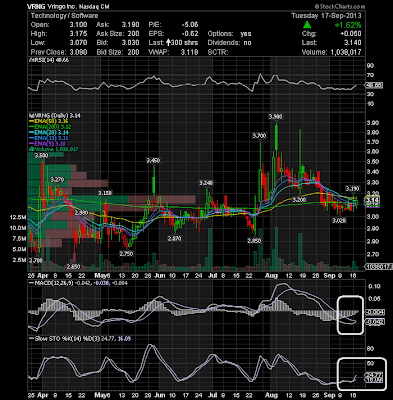 VRNG seems to want to bounce from lows and the increased volume shows there were buyers in the stock. The short-term outlook for the stock appears positive. 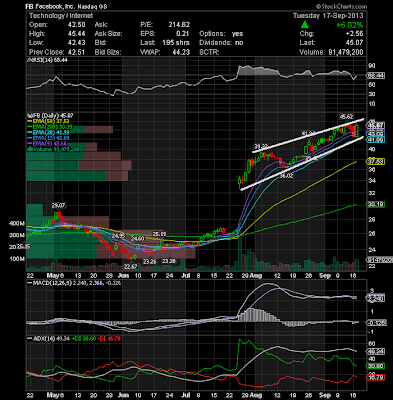 As you can see, the MACD is about to cross above its signal line and the RSI is gaining momentum. 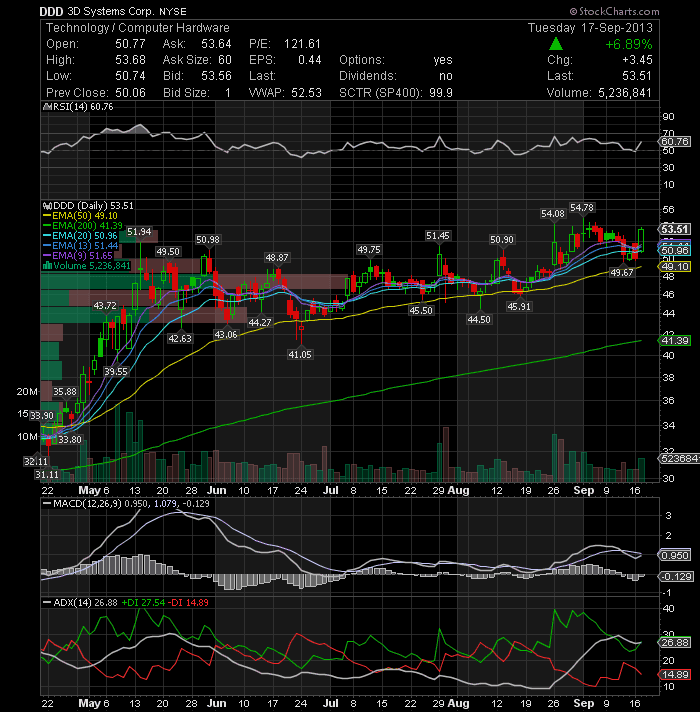 In addition, the stock closed again above the 200-day EMA, which is important technical news. 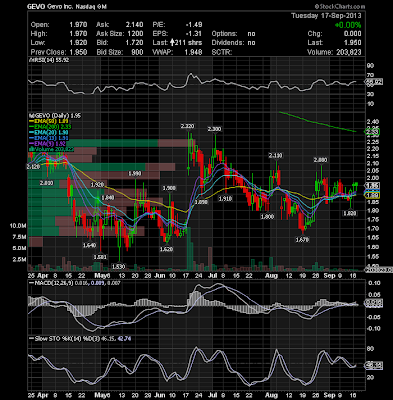 There is a lot of upside potential in VRNG, so keep watching for the breakout move.